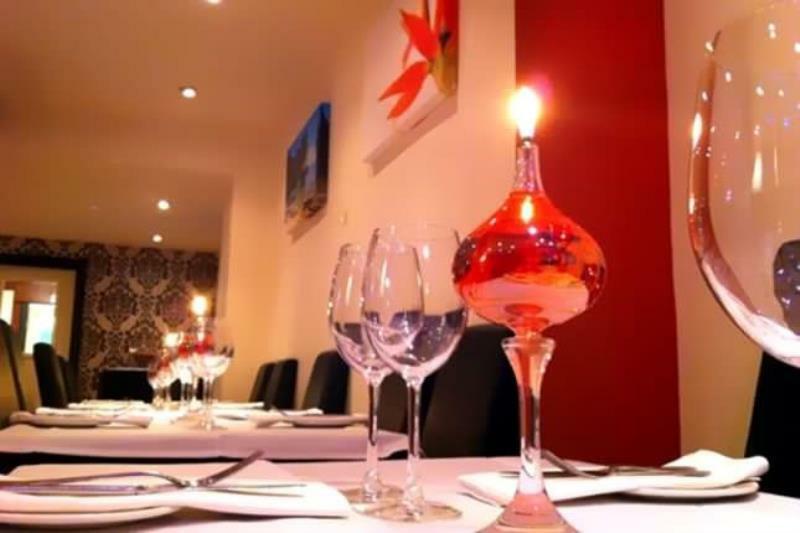 Established in 2003 the Blue Ginger is a popular restaurant serving authentic Indian cuisine set just outside Kempston town centre in Bedford, opposite the Addison Howard Park. The contemporary style dining room is tastefully decorated in a palette of rich red and cream, subdued spot lighting and rose glass table lamps set the scene, with walls featuring an ever-changing display of oil paintings. The menu aims to please all-comers with its mix of curry house stalwarts and innovative regional specialities, cooked with fresh home grown vegetables including asparagus and broccoli, together with a variety of meats and fish, some of which are imported directly from the Indian subcontinent. Service is exemplary, both friendly and precise, while the wine list offers a wide selection to complement the flavours of the dishes.